At Capistrano Ford we offer a full array of engine services to keep your vehicle running properly. Our engine specialists use the latest diagnostics to find issues that can keep your vehicle from performing its best. Is your car’s check engine light on? 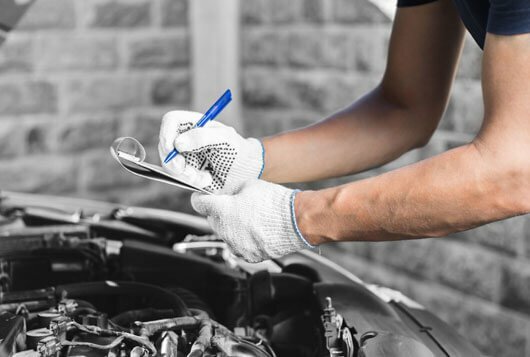 Our team of factory trained service technicians at Capistrano Ford can help diagnose any problems with your vehicle’s engine. If the check engine light is on, you should bring your vehicle in for service as soon as possible. The OBD II system that monitors your vehicle will detect if anything is wrong, from a loose fuel cap to a more serious problem with the engine or emissions system. The engine is the heart of your car, and it is important to keep it maintained to avoid any issues. We can perform any type of engine service, including replacement of the air filter, spark plugs, sensors, head gasket and much more. You can view what services are recommended for you vehicle in your owner’s manual and have your vehicle checked by our technicians. Questions About Your Engine? Let Us Help!